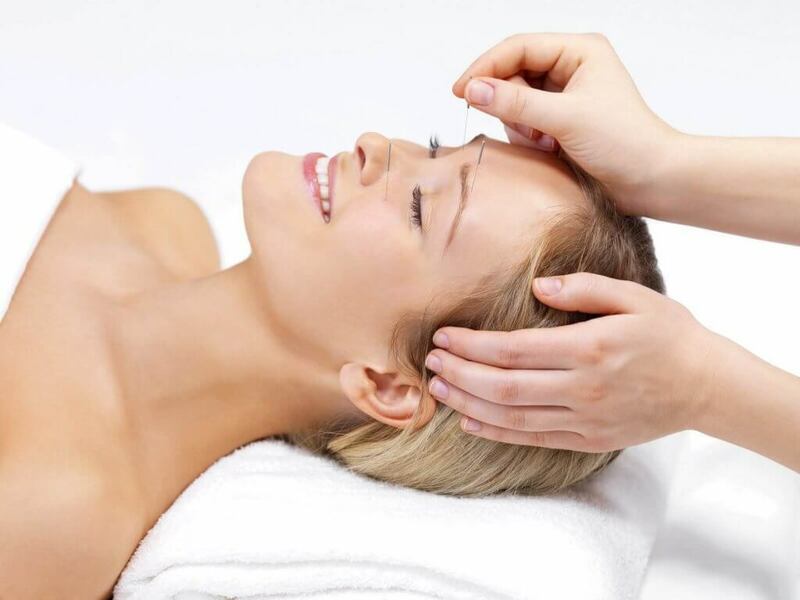 Facial Revitalisation is often referred to these days as ‘Cosmetic Acupuncture’ although the term is not one that Acupuncturists are generally allowed to advertise. The process of facial revitalisation involves the insertion of needles around the facial area, much as seen in the photograph above and this process helps to encourage blood flow around the face and to give it a generally more healthy appearance. It is important to note that unlike a permanent cosmetic surgery solution Facial Revitalisation using Acupuncture in mostly non-invasive, apart from the insertion of the fine needles, and does not leave any scarring. The results vary from individual to individual however in our experience we have found that after a single session there is usually a noticeable difference, and after a course of acupuncture, patients often have a noticeable glow about their face which people can see and comment on. As with any acupuncture treatment, the effects are likely to be short term and whilst they are non invasive and leave no scarring, the results are typically temporary.